Labor Day is always the first Monday in September. It was original a tribute to labor unions but now it's just a three- or four-day weekend. Despite the hot temperatures in DFW in the beginning of September, you can just feel the change in the air. You know that fall is coming—even though temps may still be near triple digits. There are a lot of fun activities to enjoy with friends or the family. Don't miss the last big holiday before it's time to put the pumpkins on the porch. Some of your favorite restaurants are participating in the third and final DFW Restaurant Week for this year. You must have a reservation and some restaurants are already booked. Be sure to call ahead for seating. Each restaurant offers a three-course prix fixe dinner or a two-course prix fixe lunch. It's the end of Summer Fireworks Festival. Enjoy a spectacular 12-minute Fireworks show at 9:30 p.m. Fireworks can be seen from any vantage point in Lake Grapevine park. The Bedford Blues & BBQ Festival includes great blues from Kenny Wayne Sheppard, Tab Benoit, Kirby Kelley and more. There are plenty of barbecue tastings and competitions to keep you full during the festival. Target First Saturdays is a great time to take the whole family to the Nasher Sculpture Garden. Enjoy free admission and a Children's Art activity at 10 a.m. 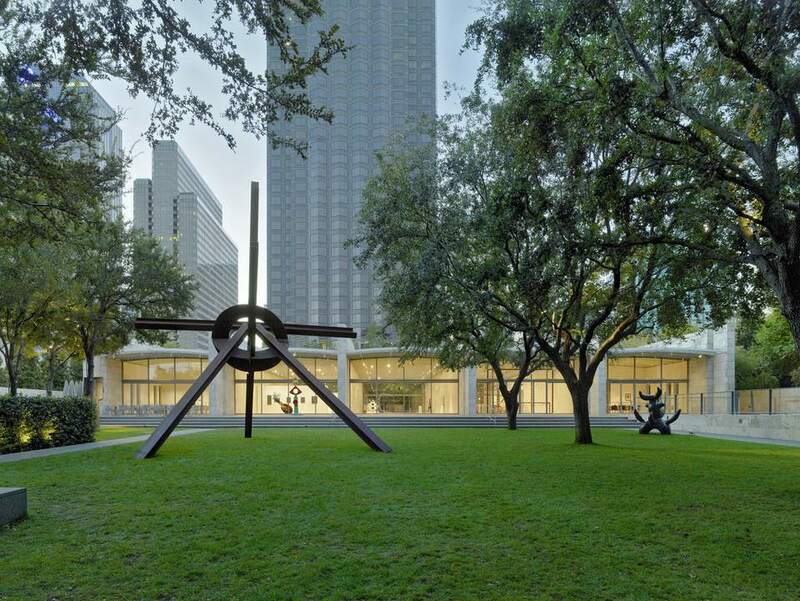 The Nasher Sculpture Center is a beautiful art collection where you will find world-class works by Picasso and Rodin plus almost 300 other unique pieces. The Invasion Car Show is back again. Bring the whole family to look at the pre-1964 hot rods and to browse the vendors. There will be live music on the outdoor stage, a swimsuit contest. Best of all it's free. There are lots of restaurants within walking distance. The only thing you would have to buy tickets for is if you are entering a car, or going to the afterparty at Trees. Tickets available at the door. DFW Free Day of Yoga is a great opportunity to try yoga for the first time—or try a new style of yoga, studio or instructor. Free classes have been offered at over 170 yoga studios throughout DFW since 2007. The Dallas kickoff event is on September 1 at the Dallas Farmers Market from 9 a.m. to 5 p.m. After enjoying your class, check out the vendors, enter some giveaways and enjoy the music. Labor Day is usually the last big weekend for water parks, spray parks and public pools to open. The kids will be sad that their favorite beat-the-heat spots close down for the fall/winter, but you can all look forward to when they reopen again next May.